Today we welcome the Children's Poet Laureate Kenn Nesbitt, author of many poetry anthologies and other children's books. How did you start writing poetry for children? I wrote my first children's poem in 1994 just for the fun of it. I enjoyed it enough that I wrote another and another. Writing children's poetry became a hobby that I dabbled in for several years before deciding in 1997 to submit my work to a publisher. The first publisher I sent poems to published several of them in a couple of anthologies in 1998, and eventually published my first book, THE ALIENS HAVE LANDED!, in 2001. I think that everyone who reads or writes poetry has a preference for what time of poems they enjoy. I happen to enjoy reading humorous poems most of all, and I find them more fun to write than serious verse. In addition, I've discovered that even children who "reluctant readers" tend to enjoy reading funny poems, so I find that my work is able to benefit kids around the world by giving them something fun to read. Can you tell us about your most recent book, and what other projects you are working on? 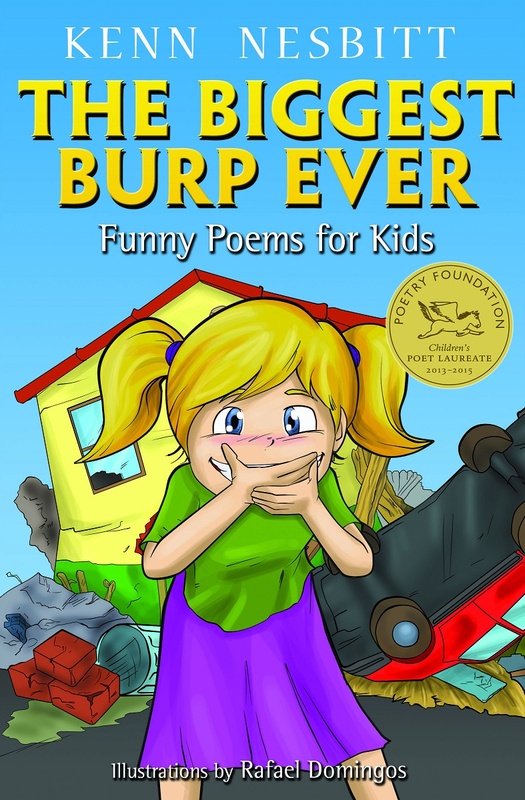 My most recent book, THE BIGGEST BURP EVER, is a collection of 70 funny poems about all sorts of subjects, including unusual characters, school situations, food, pets, video games, and lots more. I have two books coming out in 2015: BIGFOOT IS MISSING, a collection of poems about cryptozoological creatures, which I co-authored with J. Patrick Lewis, and BELIEVE IT OR NOT, MY BROTHER HAS A MONSTER, a Halloween picture book. Your website, Poetry4Kids.com, is jammed packed with poems. How did the site come about and what do people like the best about it? I started poetry4kids.com in 1997 as a way to share my poems with kids online. I have since expanded it to include poetry writing lessons, a rhyming dictionary, videos, and much more, but the poems are the centerpiece of the website and the reason that most people visit. What advice would you give to other poets or writers trying to break into the field (poetry for children)? Writers may find it easier to get their poems published either by writing stories for children's picture books, or themed poetry collections, where all of the poems in a manuscript share a common subject. Publishers these days seem to be more interested in these types of books than in more general poetry collections. How did you celebrate when you found out you were named the Children’s Poet Laureate? When the Poetry Foundation called to let me know they were naming me the next Children's Poet Laureate, I was driving from Seattle to Portland with my family. My kids were on Spring Break that week, and I had school visits scheduled in Portland, so they came with me for a little vacation. We didn't have a celebration per se, except for enjoying some time together as a family. Are you a natural poet, or did you have to learn the craft? I don't think there's any such thing as a "natural poet." Regardless of how much you enjoy reading poetry, or how good of a writer you are otherwise, there is still a lot to learn about the craft of writing poetry. I spent years reading books, studying, and practicing to improve my skill at crafting a good poem, and I continue to do so today. Today I am mostly known for my poetry. People who have read my biography online will also be aware that I used to work as a computer programmer. But most people don't know that as a child I was afraid of writing. I thought it was so difficult, that I knew I would never be a writer. However, in my late twenties, I began writing articles for computer magazines. Before I wrote a single line of children's poetry, I had already published over 250 articles, and even co-wrote a computer book about a database system for Windows. It was through all of this that I overcame my fear of writing, discovering that it could be easier than I thought, and that I could even be successful as a professional writer. 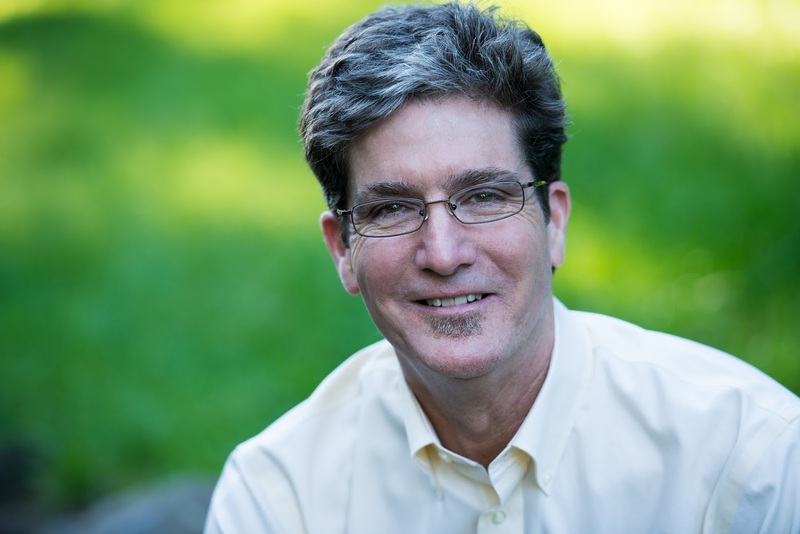 Children's Poet Laureate Kenn Nesbitt is the author of many books for kids, including KISS, KISS GOOD NIGHT, MY HIPPO HAS THE HICCUPS, REVENGE OF THE LUNCH LADIES, and many others. His poems have appeared in numerous bestselling anthologies, including every book in the popular Kids Pick the Funniest Poems series, and anthologies with nearly two million copies in print. His work has been published in hundreds of school textbooks around the world, as well as national television programs in the US and UK, and numerous children's magazines. Kenn travels the country, visiting over 60 schools each year, sharing his wacky brand of poetry with kids nationwide, and helping to create a new generation of poetry lovers. His website, poetry4kids.com, is the most visited children's poetry website on the Internet. All those sound such fun! Aren't we all lucky with all these poetry treats sll the time. 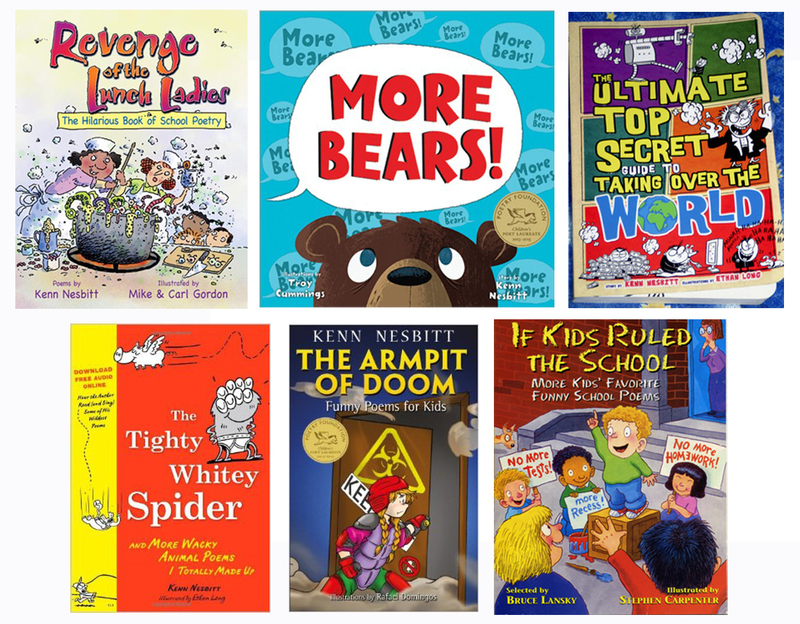 Thanks for another cool interview, KidLit411 and Kenn! Always great to learn more about Kenn! Thanks for the interview, KL411! Computer programmer to Poet Laureate . . . Wow! In high school I wrote a graphic program. What a fabulous interview! Thank you Sylvia and Kenn!